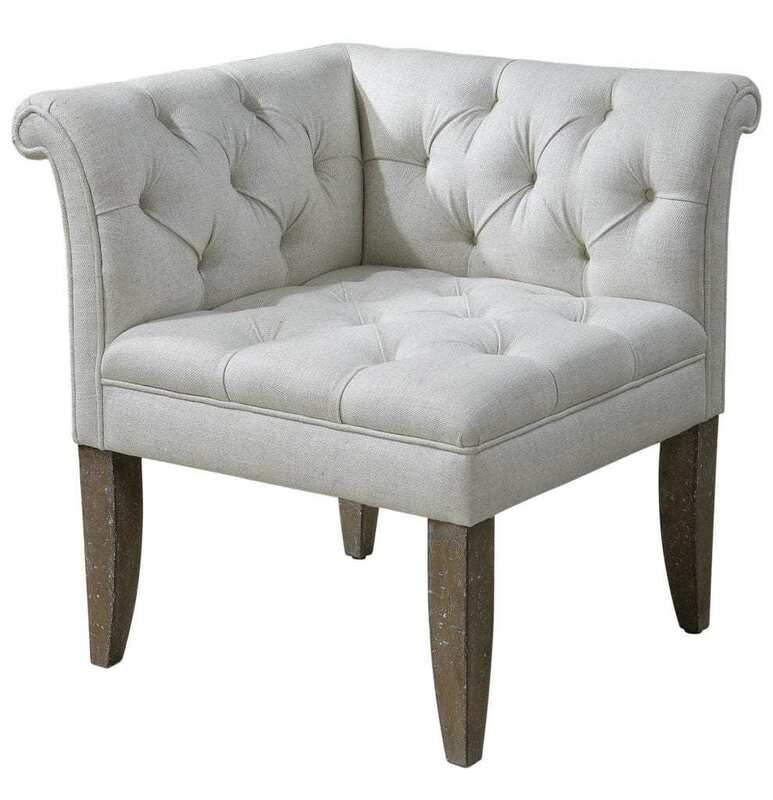 Classic, chesterfield tufting and pleated roll arms in a bright ecru, textural linen blend, set in confident style on robust yet shapely tapered legs. Classic, chesterfield tufting and pleated roll arms in a bright ecru, textural linen blend, set in confident style on robust yet shapely tapered legs. Showing both fine wood grain and layers of hand finishing and distressing, this chair embodies timeworn, ageless elegance. Seat height is 20″.